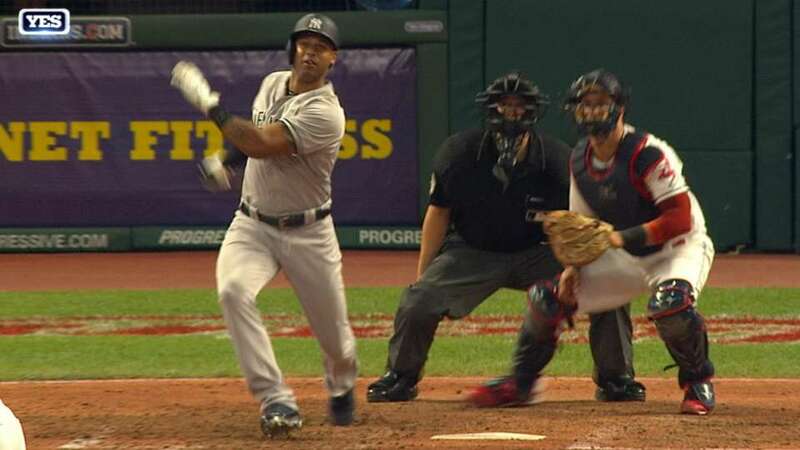 The dominant pitching forecast for a meeting of two of the top finishers in last year’s American League Cy Young Award chase may not have materialized, but Brett Gardner and Didi Gregorius blasted big homers to set up Aaron Hicks’ go-ahead RBI double in the eighth inning, leading the Yankees to a 7-4 victory over Corey Kluber and the Indians on Thursday at Progressive Field. Gardner ripped a game-tying two-run shot in the third inning, part of a two-homer performance, with his second blast coming in the ninth for an insurance run. Gregorius — who homered twice off Kluber in the deciding Game 5 of last year’s AL Division Series — cleared the fence in the fourth, with both clubs going back and forth as the Indians peppered an unusually hittable Luis Severino for four runs and nine hits over five innings.